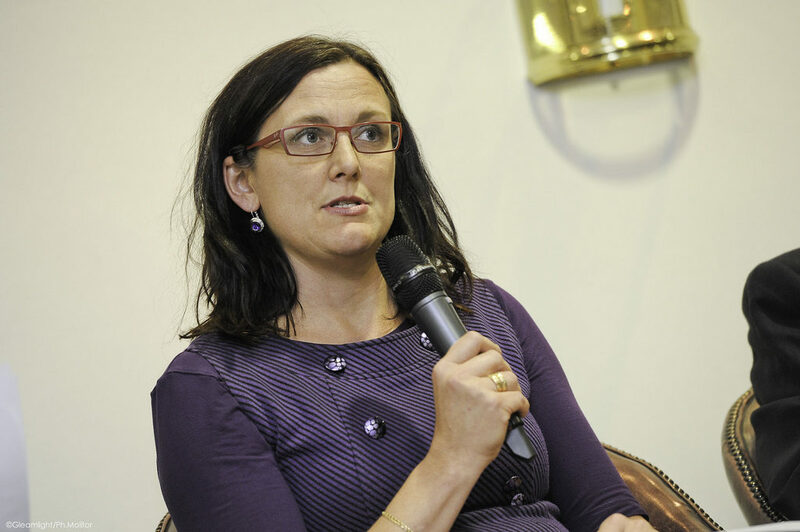 The EU–US trade negotiations could be revitalised “within some weeks”, according to the EU Commissioner for Trade Cecilia Malmström. The Council is expected to approve the negotiating mandates during its currently on-going Summit in Brussels. The prospects of any transatlantic trade talks have faced numerous challenges since the Transatlantic Trade and Investment Partnership (TTIP) negotiations stalled, but the two sides sound ready to return to the table. As is often the case in trade talks conducted by the EU, however, the agriculture sector has constituted a significant problem moving forward. In the specific case of revitalising the EU–US trade negotiations, there have been significant disagreements on whether to include agriculture products within the scope of the agreement. Despite the joint declaration made by Presidents Juncker and Trump in the White House Rose Garden in July 2018 to reduce trade barriers and strengthen strategic cooperation, trust between the transatlantic partners has only eroded further. From the EU’s perspective, President Trump’s zero-sum perception of trade negotiations, steel tariffs, and threats to impose measures against European car imports have reinforced the view that his administration is not willing to follow the rules on which the transatlantic relationship has traditionally been based. “Agriculture is out! That is crystal clear.” Speaking at a European Liberal Forum global trade event on Thursday (21 March), Trade Commissioner Malmström was more than certain that the Council would never grant her a mandate to negotiate trade with the United States that would include agriculture products. She stated that there is no appetite on the EU side to open negotiations for a full 30-chapter free trade agreement. Instead, the bloc would be looking to conclude a smaller agreement, as President Juncker already indicated during his July 2018 visit to the White House. According to the Commission’s draft mandates released this January, the EU would be open to negotiating a trade agreement strictly focused on removing tariffs on industrial goods (such as steel) and another agreement on regulatory conformity intended to remove non-tariff barriers. Speaking also on the topic of trade on Thursday, the US Ambassador to the EU Gordon Sondland told an American Chamber of Commerce to the EU (AmChamEU) transatlantic conference that “the mandate that is being circulated falls far short of what even President Juncker and President Trump discussed in July”. He continued that the talks will need to include “all aspects of our relationship” and repeated the US administration’s demand that agriculture is included in the deal. Last week, US Trade Representative Robert Lighthizer told Congress that the EU-U.S. Executive Working Group had reached a “complete stalemate” as a result of the disagreements over agriculture. The situation is not this simple, of course. Washington has also consistently refused the EU’s demands to include public procurement and geographical indications in the negotiations, as Commissioner Malmström explained on Thursday. In addition, car tariffs have been another point of contention, as Brussels has insisted that vehicles should be included in the negotiations. This is obviously in the EU’s interest in order to avoid higher import tariffs on European cars to the US as per President Trump’s threats to do so. However, the 2018 joint declaration – on which the current efforts to establish a dialogue are based – explicitly refers to “non-auto industrial goods” in its wording. What is there to be done then? First of all, both Commissioner Malmström and Ambassador Sondland agreed in their speeches that the EU and US could build up agreements, moving through the issues one by one. Dealing with each issue on its separate track would allow addressing problems at their own pace. Successfully concluding a smaller trade deal could also be used as a platform to build trust between the transatlantic partners and to pave the way for more comprehensive talks in the future. According to Malmström, seeking a positive platform for these talks could start, for example, from the work already done on some regulatory cooperation and standard alignment matters during the TTIP negotiations. From the EU’s perspective, focusing also on aligning car safety regulations could possibly strengthen its hand in arguing that the US cannot impose tariffs on the basis of national security. Furthermore, the EU and US should use the talks to set a common agenda on their shared concerns on global trade, namely reforming the WTO rulebook and challenging China on its unfair practices. There are also risks that the transatlantic negotiation would backfire, eroding the already strained relationship even further. The EU might, for example, fail to enter the talks as one voice. The European Parliament’s recent vote failing to issue recommendations on the US trade negotiations highlights the existing divisions between European policy-makers on the topic. President Trump’s own ‘tough guy’ act and the possibility that his administration would impose punitive tariffs before the talks have been concluded – in which case the EU would most likely suspend the negotiations – also pose risks to re-building the partnership. For example, carefully avoiding any reconciliatory tones in a speech to the US governors this February, Donald Trump called the EU “in certain ways, tougher than China” on trade and said that he would “tariff the hell out of [the EU]” if the bloc would not agree to include agriculture products in the trade negotiations. Yet, perhaps the future opportunity to use the EU–US trade negotiations as an example of President Trump’s deal-making skills ahead of the 2020 US presidential race will eventually be enough to convince Washington of the benefits of a smaller trade agreement. Commissioner Malmström, at least, expects the talks to be concluded by the end of the current Commission’s mandate on 31 October. The attempts to settle one of the hottest borders in the Western Balkans have once again returned to ethnic divisions. The border demarcation proposal, or “land swap”, between Kosovo and Serbia has recently received support from the EU and the United States, both of which are looking to achieve shortcuts for the long-term problem that the two powers have attempted to solve for over a decade. The current plan to swap land along ethnic lines, however, threatens to weaken the core basis of the Western efforts in the Balkans based on the post-Cold War ideals of multi-ethnic, liberal states operating under the rule of law and European values. Acceptance by the EU of redrawing borders based on ethnicity would not only be likely to have significant repercussions elsewhere in the Western Balkans but also in other disputed territories. Vladimir Putin’s Russia, for example, has justified its occupation of Crimea partly by asserting that the peninsula has a mostly ethnic Russian population. Making matters worse, the Trump Administration – which has been leading the return of the US to Central and Eastern Europe – has been supportive of the “land swap” proposal. The President’s eyes seem glued to the credit-taking photo-op of hosting a historic signing ceremony at the White House Rose Garden. “I look forward to hosting you in the White House to celebrate what would be a historic accord”, wrote the US President Donald Trump in the letters to the Presidents Hahsim Thaçi of Kosovo and Aleksandar Vučić of Serbia in December 2018. Kosovo unilaterally declared its independence from Serbia in 2008, a decade after the 1998-1999 war that claimed around 13,000 lives. Since 2011, the two parties have engaged in a continuous dialogue facilitated by the High Representative of the EU as per the 2010 UN Consensus Resolution. The negotiations initially led to the 2013 Brussels Agreement, which was not signed by either of the sides but has nonetheless been recognised as a prerequisite for EU accession talks. Since November 2018, however, the dialogue has stalled as a result of Kosovo imposing a 100% import tax on Serbian and Bosnian products. Kosovo imposed the tax originally at 10% on 6 November and lifted it to its current level on 21 November, arguing that it was a reaction to Serbia lobbying against the country’s admission to international organisations. On 20 November, Kosovo had failed to secure the support of the required two-thirds of Interpol member states in a vote to join the international police organisation. When faced with calls from the EU and US to remove the tariff that counters Kosovo’s obligations under the Central European Free Trade Agreement (CEFTA), the country’s prime minister Ramush Haradinaj responded that he will not remove the measures until Serbia recognises Kosovo’s independence. Serbia, which constitution specifies Kosovo as an ‘integral part’ of its territory, has vowed never to recognise the region’s independence. While the Kosovar Prime Minister Haradinaj and Speaker Kadri Veseli ramped up popular support with the measures against Serbia (benefitting Albania and Macedonia, which exports to Kosovo have increased 39% and 10% since November, respectively), Presidents Thaçi and Vučić have continued to promote their controversial border demarcation proposal. First introduced in August 2018, the “land swap” would involve granting parts of Serbia’s Preševo municipality to Kosovo in exchange for parts of northern Kosovo. In addition, The town of Bujanovac in Serbia would become a special district akin to the status of Brčko in Bosnia and Herzegovina, while the divided Kosovar town of Mitrovica would become a ‘free city’. The mines of Trepča would also be given a special status. Since becoming public, the proposal has remained solidly unpopular in both Serbia and Kosovo. The swap would also add a new non-Schengen border on the route of Pan-European Corridor X. Perhaps more than anything, the demarcation proposal has been a source of internal schism in the politics of Kosovo. President Thaçi’s support of the “land swap”, which is unpopular in both Kosovo and Serbia, has seen tensions rise between the presidency and the parliament. Thaçi’s efforts to sidelines the national legislators in the opaque talks led to the Parliament of Kosovo endorsing its own ‘Delegation for Dialogue’ on 15 December to conduct the talks with Serbia instead. This internal struggle has only brought further confusion to the already fragile dialogue, which the demarcation proposal has thus failed to boost. In addition, together with the aforementioned import tax measures, Kosovo’s domestic situation has also begun to undermine its most important international alliance – its relationship with the United States. Meanwhile, the EU has lost much of its footing in the Western Balkans, displaying once again the bloc’s difficulties in dealing with its own backyard. The decade of crises and the rise of populists have certainly hindered both the appeal of EU membership, which is generally argued to be the bloc’s most powerful tool in shaping its neighbourhood, as well as its ability to conduct external relations as a coherent unit. Commission President Jean-Claude Juncker’s announcement that no new member states would be accepted during his mandate did not exactly motivate the Western Balkans candidate states to implement reforms either. Furthermore, the EU has not done itself any favours by delaying the visa liberalisation scheme promised to Kosovo in return for fulfilling specific reform criteria. Visa-free travel regime is seen as one of the main incentives for Kosovo to continue the EU-led talks with Serbia, as the country remains one of the only two territories in Europe (Belarus) to have Schengen restrictions. Most recently, the EU’s standing in the Kosovo–Serbia dialogue has been undermined by the opposing positions taken on the issue by influential players within the bloc. Germany, the UK, and Austria (which held the rotating EU presidency when the demarcation plan came to light) have all raised concerns about redrawing the map along ethnic divisions in the region. “The focus should be on creating national rather than ethnic identities”, said the Austrian Foreign Minister Karin Kneissl reportedly. Nonetheless, some EU officials, most notably High Representative Federica Mogherini and the Commissioner for European Neighbourhood Policy and Enlargement Johannes Hahn, have been supportive of the proposal in order to speed up the negotiations. The Commission is obviously concerned about the end of its term in a couple of months’ time, but no one seems as concerned about their legacy as Mogherini. Much like her predecessor Catherine Ashton hurry to conclude the first International Agreement of Principles Governing the Normalization of Relations between Kosovo and Serbia before the end of her term, Mogherini’s urgency to end the dialogue seems to stem from personal ambitions. This rush to achieve something concrete before the end of the current Commission’s five-year term does not, however, encourage the forging of a long-term and sustainable solution between the two sides. What may sound like a relatively quick solution in theory to the slowing dialogue process, is most likely not going to work in practice. 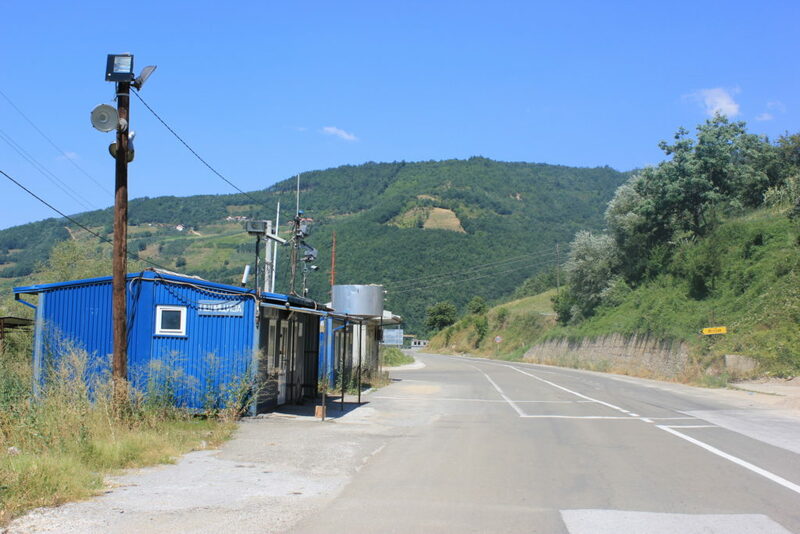 For example, the rural areas surrounding the majority-ethnic Albanian towns in Serbia have a Serbian farming population who simply cannot move their livelihood between redrawn borders as it is tied to the land. Thus, any breakthrough in the Serbia–Kosovo dialogues should not be based on ethnicity. Allowing redrawing of the fragile map of the Western Balkans threatens to open a Pandora’s box of ethnic shuffling between Serbia and its neighbours. There just simply is not a way this could be contained as a one-off instance. One only has to think about the precedent this would set to Republica Srpska’s Milorad Dodik. With under 80 days to go until the European Elections, disinformation and the integrity of electoral democracy seems to be on everyone’s lips. This week saw the Washington DC -based Atlantic Council bring its #DisinfoWeek conference to Brussels, while the Martens Centre and Antall József Knowledge Centre co-hosted an event on information security in Europe. 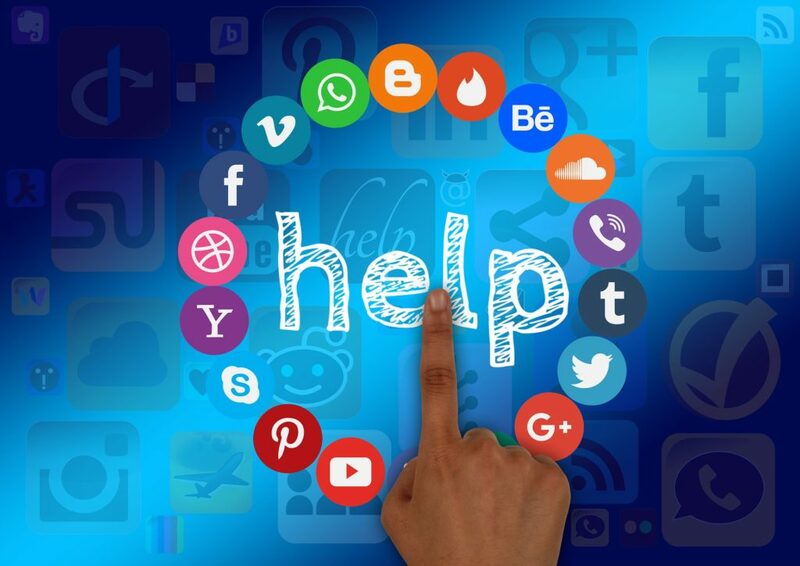 On top of this, the European Commission is currently gearing up to its 2019 Media Literacy Week later this month, attempting to raise awareness and promote existing national initiatives before the elections in May. The problem has been identified and clearly documented, but how to respond to the challenge posed by malevolent disinformation campaigns remains an issue. The Commission defines disinformation as ‘verifiably false or misleading information that is created, presented and disseminated for economic gain or to intentionally deceive the public, and may cause public harm’. Whether disinformation can be disseminated purely for political gain is left unanswered by the Commission. Currently, the EU’s proposed Action Plan against Disinformation consists of four sectors: strengthening information security capabilities, coordinating joint responses, mobilising private sector actors, and improving media literacy. The unprecedented speed with which modern (dis-)information spreads creates a need for governments, civil society organisations, and companies to collaborate in an effort to improve the public’s resilience in the face of disinformation campaigns. In addition, the cross-border nature of digital information platforms also calls for a common European approach to this challenge, even though the organisation and protection of elections remain national competencies within the EU. And a response is certainly needed: according to a Eurobarometer survey published in March 2018, 83% of Europeans think that “fake news” are a threat to democracy. Therefore, it is crucial for the EU to strengthen its cybersecurity capacities and enable the sharing of best practice between member state authorities to respond to disinformation campaigns. It is important, however, to understand that much of disinformation is not simply false information from shady sources as much as intentional misrepresentations of information from credible sources, as explained by Chloe Colliver from the Institute for Strategic Dialogues at the #DisinfoWeek Brussels 2019. The issue is highly complex, as often the information being shared may not be purposefully false but merely information framed to fit a specific problematic narrative. And to make matters more complicated, those who share this information are mostly domestic actors, ordinary citizens, rather than extremists seeking to cause societal harm. Thus, the questions over who and what to regulate become increasingly more difficult the better we understand the disinformation sphere. Furthermore, not all disinformation is equally harmful or disruptive. Whereas some conspiracy theories (e.g. flat earth theorists) are harmless to the world around them, many other disinformation campaigns carry the potential to incite violence (e.g. malevolent anti-refugee narratives) or serious risks to public safety (e.g. anti-vaccination campaigns). Keeping this in mind, regulators can sidestep much of the accusations regarding silencing the freedom of speech (which is not being advocated here – curbing liberal values and the diversity inherent in democratic debate is what the malicious actors fuelling disinformation campaigns want) by regulating not offensive content, but content that is harmful to the safety and well-being of others. Then we have the aims to improve media literacy and fact-checking systems. Often posited as alternatives to regulating social media platforms, the former can unfairly place an overwhelming majority of the responsibility on individuals in an increasingly complicated field, while the latter can be almost invisible in the world of social media algorithms that favour sensationalism and echo chambers. Fact-checking is not a viable option, when those within our digital communities reinforce opinions originally based on disinformation. Simply put, facts don’t change our minds. Media literacy, on the other hand, is absolutely crucial and must be robustly introduced in school curriculums across Europe. At the same time, however, improving media literacy is a long-term, expensive solution and requires the input of government regulation, NGO campaigns, and company responsibility to accompany its growing effect. We cannot expect that a strengthened communication effort less than three months before the European Elections will adequately safeguard the quality of public debate and integrity of the electoral process, when the seeds of the trust-corroding anti-EU message have consistently been sowed over years. Raising awareness through fact-checking and media literacy through education are long-term projects which we must focus on constantly, rather than periodically in times of election campaigns. The current election-to-election focus risks losing sight of the long-term dangers posed by disinformation and can inhibit us from making the necessary, sustainable action plans. All in all, the issue of disinformation is here to stay and requires long-term efforts to be adequately challenged. Elections provide a fruitful ground for fake news and intentionally misinterpreted content to flourish, but to most effectively tackle the dangers of disinformation, the EU must commit to improving public debate and safeguarding democracy also outside of the campaign season. As Western Europe basks in the sun with the temperatures reaching unprecedented levels in February, it is good to remember that this just is not normal. Last four years have been the warmest ever recorded in global average temperatures. In fact, the 20 warmest years on record have all occurred over the past 22 years according to the UN-affiliated World Meteorological Organization. Global warming has had a particularly devastating effect on the Arctic, which has lost 95% of its oldest ice cover, and destabilised the northern polar jet stream. In turn, a weaker, wavier jet stream allows warmer air to move unusually north in some regions and colder air to travel further south in others, which has been linked with both the recent heatwave in Western Europe and polar vortex in Canada and Midwestern United States. At this rate, summers in the Arctic could be ice-free by 2040. The polar region is warming twice as quickly as the rest of the globe and this will have significant implications for the environment, global ecosystems, and lives of the around 4 million people who live in the area. Receding ice will also open up sea routes for commercial opportunities and military use. As a result, the geopolitical status and strategic importance of the Arctic will only grow in the near future, demanding answers to critical questions about security and diplomacy. With three Arctic states as its members (Denmark, Finland, and Sweden) and seven other member states having been granted observer status in the Arctic Council, the EU has a significant interest in the stability of the region. The EU’s policy in the High North has so far mainly focused on matters such as environmental concerns, scientific research, and the regulation of fisheries. A premium is also put on regional and local cooperation with the Arctic states and indigenous peoples. For an aspiring global leader in climate action and a strong defender of multilateral regulatory frameworks, this emphasis is of course hardly surprising. A fit for purpose European Arctic strategy, however, needs to be more comprehensive in scope and take into account the growing global interest in the region, which is not purely scientific or environmental. Security matters were actually omitted altogether from the EU’s latest Arctic policy update, released in 2016. This was the case despite an earlier 2008 document taking into account territorial disputes in the region regarding Russia, for example. To be fair, the EU’s Global Strategy on Foreign and Security Policy does include the Arctic as one of the strategic regions, but even then that specific section is only one paragraph in length. ‘The EU has a strategic interest in the Arctic remaining a low-tension area’, it says, before repeating the key tenets of the aforementioned 2016 policy emphasising the need to tackle climate change and support innovation in the region. The Council, however, highlighted on its June 2016 Conclusions that ‘reinforcing the EU’s engagement in the Arctic’ is an important factor of its foreign and security policy and called for an ‘ambitious cross-spectrum and well-coordinated’ strategy to engage with regional and global actors in the area. To achieve the EU’s objective of maintaining low tensions, all efforts to avoid a “scramble for the Arctic” are absolutely integral. The melting region is expected to compose the largest unexplored area of oil and natural gas remaining in the world, which is certainly of interest to many global players. Estimated 90 billion barrels of oil and 47,2 trillion cubic metres of natural gas resources remain buried under the seabed, according to the U.S. Geographical Survey. In addition to the resource question, control over shipping lanes will be another hot topic. For instance, the Northern Sea Route would cut the time it takes to ship goods from St Petersburg to Vladivostok by 14 days. Similarly, it would shorten the journey cargo ships carrying goods between China and Europe currently take through the Suez Canal by up to 40%. As such, overlapping territorial claims, military assertiveness, and infrastructure investment (with ulterior motives) from Arctic and non-Arctic states alike have increased accordingly and will continue to do so in the future. 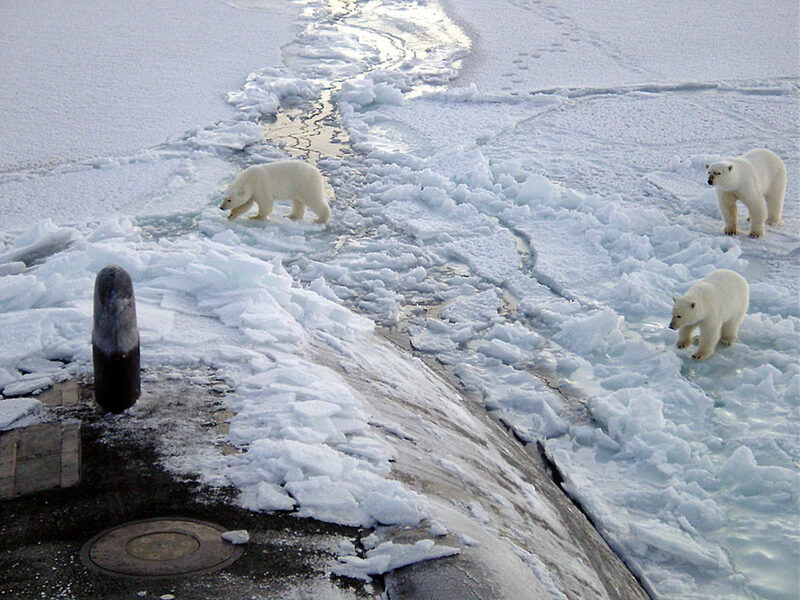 The fears of escalating competition for the Arctic were greatly fuelled already back in August 2007, when Russian explorers (with the help of a nuclear-powered icebreaker and two submarines) placed a Russian flag on the seabed below the North Pole. The stunt gained even more attention when Foreign Minister Sergei Lavrov connected it with his country’s ambition to claim nearly half of the Arctic Ocean. The only non-NATO state with a coastline on the Arctic Ocean had previously submitted this claim in 2001 under the procedures set by the United Nations Convention on the Law of the Sea (UNCLOS) – only for the demands to be rejected due to lack of geological evidence. More recently, emboldened Russia has asserted itself in the region with constant military drills, reopened bases, and strengthened air defence as per the Kremlin’s 2008 arctic strategy and 2017 naval doctrine. Anticipating competition from China, Japan, and the Arctic NATO states, Russia seems set to militarising the Arctic. Russia’s dwindling economy is, however, going to have an impact on its grand ambitions. The Arctic is also at the centre of China’s poetically named Polar Silk Road, which forms a part of the multi-billion-dollar Belt and Way Initiative. Lacking military capacity to effectively project power in the Arctic, China relies on carefully planned ‘science diplomacy’ and investments on strategic infrastructure to gain a foothold in the north. This has already resulted in China gaining observer status in the Arctic Council in 2013 and rapidly growing its mining rights in Greenland, for example. The former exemplifies China’s increasing willingness to assert its presence in global governance through a vast variety of multilateral fora, while the latter has tightened China’s grip of the global rare earth materials market, allowing the country to exert price control. Moreover, investment in ports on the Arctic Ocean provides China with the possibility to monitor naval activity, while Chinese-owned airports in the Arctic could allow the owners to observe air traffic. Thus, the EU must keep in mind the real possibility of China using its infrastructure, mining, and space observation investments for non-civilian purposes. The West as a whole has been poorly prepared for the growing geopolitical importance of the Arctic. NATO, for instance, has consistently failed to include the region in its Strategic Concept and North Atlantic discussions in a meaningful way (even though both Denmark and Norway’s national Arctic policies do mention NATO’s presence as a security factor). The defence alliance did, however, conduct its largest Arctic drill in decades last October, so perhaps the focus is slowly shifting at last. Meanwhile, the EU’s climate action focus has also lost an ally in the West. Reversing President Obama’s 2016 Arctic offshore drilling ban, the Trump administration has foolishly hopped on board the environmentally catastrophic Arctic energy extraction rush by selling 19 Alaskan offshore sites between this year and 2024. This shift places even larger importance on the EU’s efforts on raising climate awareness and supporting Arctic communities. The EU needs to reassess its own role in the Arctic. The EU does not have a coastline in the Arctic and will not be a leading force in the region, but it can still have an impact in the way security concerns are addressed and diplomacy is conducted regarding the area. Thus, the bloc must attempt to participate more actively in the meetings of the Barents Regional Council and the Arctic Council, as well as encourage dialogue through the Arctic Security Forces Roundtable and the Northern Chiefs of Defence forum, in order to establish stronger ties with the main actors in the region. Europe must also better recognise the risks posed by overlapping territorial claims and support the UNCLOS procedures to impartially evaluate each competing demand. In addition, given the advantage of Chinese government-subsidised companies in acquiring strategic assets within the EU and the EEA, the Commission’s investment plans should be more visible and provide better support to infrastructure and research projects in Lapland, Iceland, and Greenland to ensure sustainable development. So far, the EU’s efforts have been crucial in promoting sustainability and supporting science in the Arctic, but in order to raise Europe’s profile in the High North, the EU must take the growing global interest and strategic importance of the region more visibly into account in its strategy. Centre for European Progression 2017 - All Rights Reserved.